Trials of the early bactericidal activity (EBA) of tuberculosis (TB) treatments assess the decline, during the first few days to weeks of treatment, in colony forming unit (CFU) count of Mycobacterium tuberculosis in the sputum of patients with smear-microscopy-positive pulmonary TB. Profiles over time of CFU data have conventionally been modeled using linear, bilinear or bi‑exponential regression. This tutorial highlights the typical efficacy endpoints of Phase 2 and 3 anti‑TB clinical trials, and gives demonstrations of a more flexible biphasic nonlinear regression model which has recently been proposed for CFU count and time to positivity. The regression model is subsequently fitted to clinical trial data as a Bayesian nonlinear mixed effects (NLME) regression model. Statistical inferences about the mean EBA of TB treatments are made from the Bayesian NLME regression model. In addition, the fit of alternative specifications of residuals, random effects and prior distributions is explored and compared using model discrimination statistics. Dr. Divan A. Burger obtained BCom (Actuarial Science), BCom (Hons) (Mathematical Statistics) and MCom (Mathematical Statistics) degrees at University of the Free State (UFS) in 2006, 2007 and 2009. He completed his PhD studies (2013 to 2014) under the supervision of Profs Robert Schall and Abrie van der Merwe at UFS. 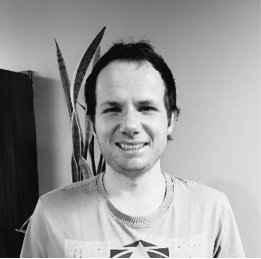 He previously worked at Quintiles Biostatistics in Bloemfontein (2007 to 2016) as a senior biostatistician, where he specialized in the planning, statistical analysis and reporting of clinical trial data. He was a postdoctoral research fellow at Department of Mathematical Statistics and Actuarial Science at University of the Free State (2015 to 2016) where his primary areas of research include Bayesian mixed effects nonlinear regression analysis. Dr. Burger is currently employed at Department of Statistics of University of Pretoria as a senior lecturer in biostatistics and biometrics. He has published extensively in Journal of Biopharmaceutical Statistics, Statistics in Medicine, Pharmaceutical Statistics and The Lancet. Dr. Din Chen is the Wallace Kuralt distinguished professor at University of North Carolina – Chapel Hill, and appointed as an extraordinary professor at Department of Statistics of University of Pretoria. 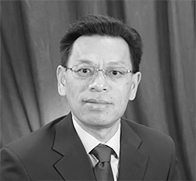 Dr. Chen is a fellow of American Statistical Association and a senior expert consultant for biopharmaceuticals and government agencies with extensive expertise in clinical trial biostatistics. Dr. Chen has more than 200 referred professional publications and co‑authored/co-edited 23 books on clinical trials, interval-censored survival data analysis, meta-analysis, public health statistics, statistical causal inferences, statistical methods in big-data sciences and Monte-Carlo simulation‑based statistical modeling.